Rosann Wilcox, Ed.D., FNP-BC, has joined St. Peter’s Urgent Care, part of St. Peter’s Health Partners Medical Associates. A board-certified family nurse practitioner, Wilcox practices urgent care medicine in the new St. Peter’s Urgent Care location in Saratoga Springs. Her professional interests include the preservation and promotion of individual and family health. Wilcox has led a rich and diverse nursing career, with varied experience including women and children’s health and rehabilitative medicine. She previously practiced in primary care with Ellis Primary Care in Clifton Park. 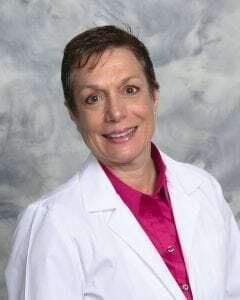 Prior to her nurse practitioner career, Wilcox was the associate dean and director of nursing at Empire State College in Saratoga Springs. Wilcox received her family nurse practitioner degree from Drexel University in Philadelphia, Pennsylvania. She completed a doctoral degree in applied physiology from the Teachers College at Columbia University in New York. St. Peter’s Urgent Care – Saratoga Springs is open seven days a week on a walk-in basis. The practice is located at 377 Church St. in Saratoga Springs, in the same building as St. Peter’s Primary Care. It is St. Peter’s Health Partners’ sixth urgent care facility. Experienced, board-certified providers offer care for patients of all ages suffering from an illness and or injury that would benefit from some immediate attention, but is not severe enough for a trip to the hospital emergency room. Providers have access to on-site lab services, as well as x-ray and diagnostic imaging services to swiftly and accurately diagnosis each patient. Click here for more information. The practice may be reached at 518-430-2757.